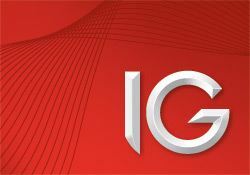 IG Markets can be considered to be one of the oldest forex trading companies in the forex market. It was established way back in the year 1974. However, it started its internet based online trading service only in the year 2003 and hence was able to widen its customer base. With its office in about 14 countries, the company is able to manage its working much better than most of the other forex companies. IG markets website has got tutorials, videos and webinars which help the trader in learning about the forex market. These educational materials are available to the traders free of cost. The other notable service include pending orders, one click trading and browser based platform. The deposit and withdrawal of the funds can be made using credit cards, debit cards and the wire transfer. The currencies allowed in the account of the traders include GBP. Euro and USD. The company is well regulated by FSIC in Australia and by FSA in UK. However, they do not entertain traders from United States and do not allow them to trade from their accounts. The demo account has PureDeal and L@ Dealer as the trading platform which is limited to the use of 14 days. Their website and customer support service, both are multilingual and are available in 10 languages. The website is very informative and has all the details about the account types, services offered and many other features. The customer support service is of world class and the staffs handle all the queries and problems maturely and promptly. They have two types of account for their traders and is Standard and ECN accounts. The minimum deposit required to open an account with them is only $1 and the minimum trade size is 0.1 lots. They offer trading in Gold, Silver, CFD and Oil along with Forex with a maximum leverage of 1:200. IG Markets have been in the market for a long period but started its online trading system only in 2003. The reviews for the company are very positive and most of the traders like the fact that it is regulated by FSIC as well as FSA. The minimum deposit required to open an account with them is only $1 and the demo account though limited to 14 days of use is very easy to use. Their trading platform is highly useful and helps the trader in doing the trade successfully. The trading instruments include gold, silver, oil, indices, stocks and commodities along with forex. Some of the cons of trading from IG Markets account is that they do not have an automated dealing desk. The payment options are very limited and are a concern for many traders. The customer support service is excellent but the lack of Live Chat options is mentioned in most of the reviews as drawback. However, the overall performance of the company is good and the average rating given to them by their users stands at 5.4 out of 10.